New 4.3 Software Training Videos now available. SW is for both Bluecam and Omnicam. However, the significant SW performance assets in 4.3 are for optimizing the Omnicam scanning. 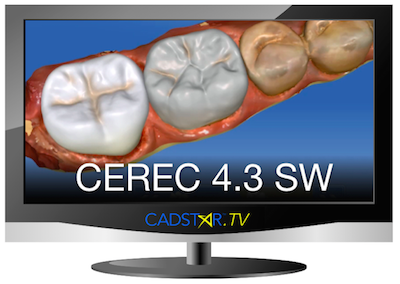 Faster and easier scanning, Improved anterior scanning, Difference Omnicam sound features, Faster model calculation and progress bar, Omnicam blackout feature for inlay and inlays, And more….